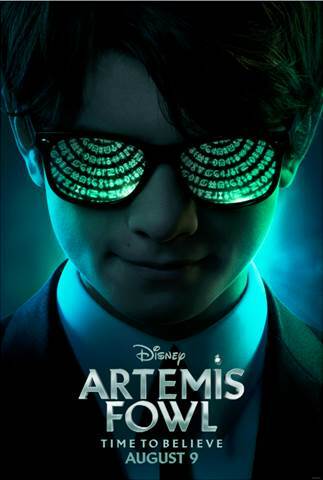 The teaser trailer for Artemis Fowl is here! Directed by Kenneth Branagh and based on the beloved book by Eoin Colfer, ARTEMIS FOWL follows 12-year-old genius Artemis Fowl, a descendant of a long line of criminal masterminds, as he finds himself in a battle of strength and cunning against a powerful, hidden race of fairies who may be behind his father’s disappearance. My son has read the book and is eager to see it on the big screen! What do you think of this teaser? « MARY POPPINS RETURNS ~ Get Advance Tickets & Pre-Order the Soundtrack!